JOHANNESBURG, Tuesday 4 September 2018: Pioneers of digital claims fulfilment and video collaboration solutions across the globe Claim Central Consolidated (CCC), today announced its African practice Claim Central Africa (CCA), has launched its digital claims and supplier management technology, ClaimLogik, to the African insurer and broker market. 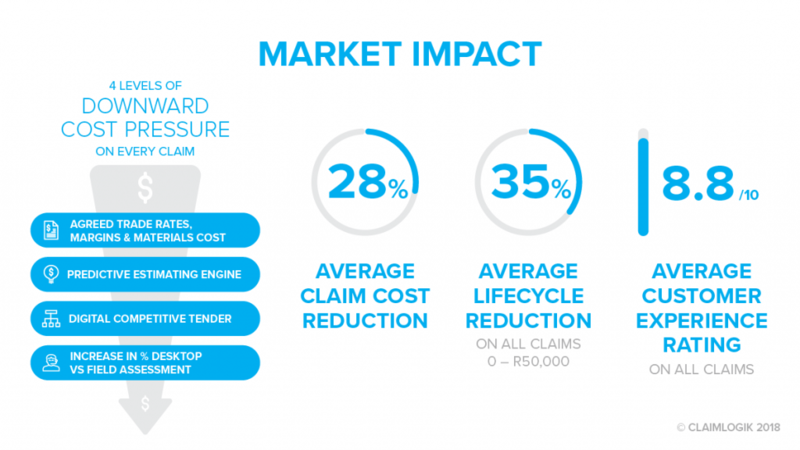 The first of its kind in South Africa, the ClaimLogik solution enables insurers, brokers and customers to efficiently connect with a supply chain of assessors, insurance builders and emergency services on a single platform. The complete transparency of the claims process from customer lodgement through to finalisation, results in a better service experience for customers. Complete live video streaming for claims known as LiveLogik, is now also possible by enabling the customer to take photos of their property or motor vehicle. This process eliminates unnecessary site visits and drastically improves cycle times. Claim Central Africa Managing Director, Ronald Gall, said: “As the African insurance industry continues to evolve while facing new challenges, technology disruptions, as well as uncertain economic conditions, insurers and brokers have no choice but to embrace technology to grow and thrive. “Claim Central Consolidated has spent 11 years simplifying the claims function, while modernising disparate pieces of the process and uniting stakeholders through utilisation of the ClaimLogik platform. “The solution easily integrates with all incumbent claim administration systems on the market today, and its best-of-breed functionality will elevate insurers claims handling capabilities and provide a superior service experience their customers,” he said. Lower costs: reducing average claim costs by up to 28% by creating a downward cost pressure. the solution contributes to an average Customer Experience Rating of 8.8/10 for insurer clients. “The platform also allows suppliers to see and bid for a job with their credentials and verified BBBEE ratings, used to best serve the underlying insurers objectives,” Mr Gall added. Claim Central Africa is in Riviona, South Africa, and is underpinned by a team of property and motor claims experts. It will utilise Broad-Based Black Empowerment Economic empowerment (BBBEE), rated service providers for repairs via the ClaimLogik platform.